Hello! I have another texture to share today. I am really loving this trend! 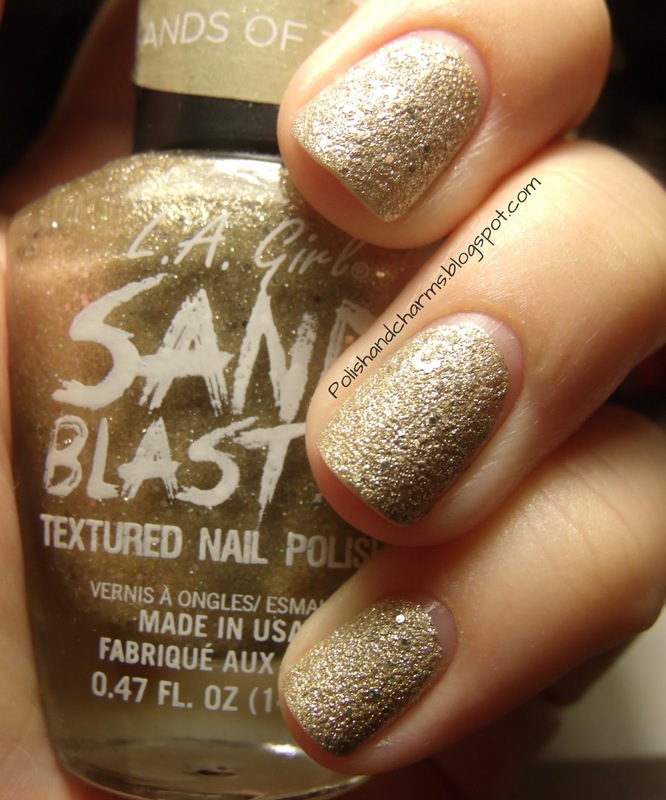 Today I have LA Girl Sand Blast in Sands of Time. Gorgeous gold texture. This wore really really well. What you see is 2 coats. Enjoy! Also, if you would like to leave a link to your blog in the comments, I'd love to check it out! The finish looks really interesting in this one! Beautiful Polish. I love this. Isn't it!! It's a new favorite of mine! Me too, although I really enjoy a lot of the textures out there!